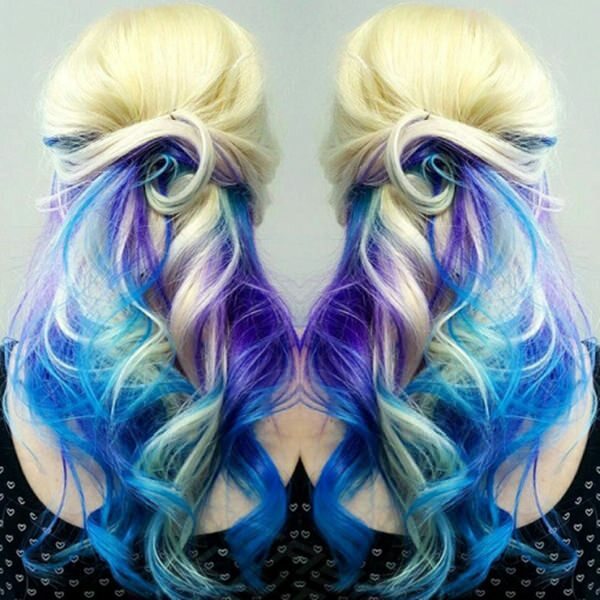 If you are looking for a new style, then you must try the mermaid inspired hairstyles. These colors are so gorgeous that you will be the talk wherever you go. 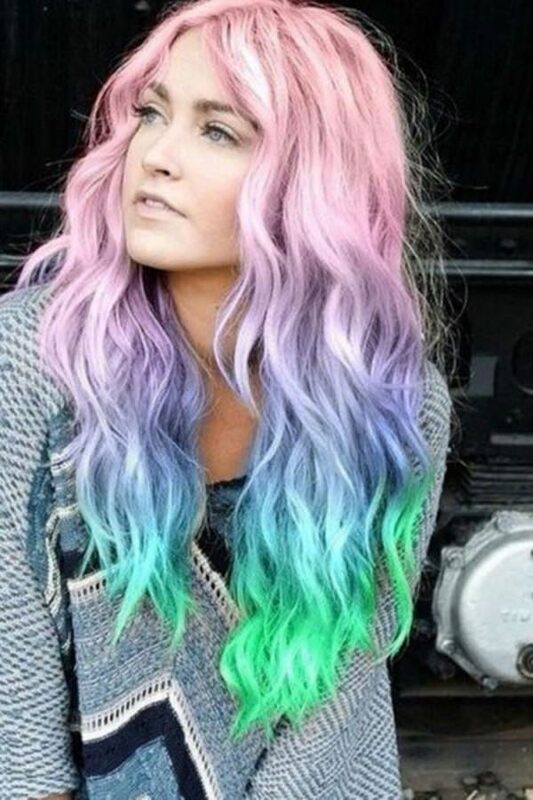 It’s a very popular style these days and it’s mainly because it’s cool and eye-catching. 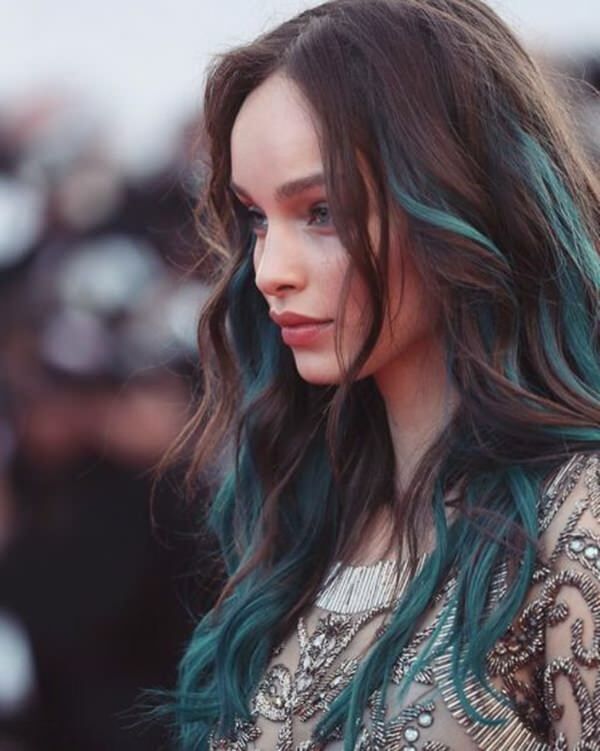 Regardless of your personal style, you are sure to love the mermaid style, it really does suit anyone. All you need to do is pick contrasting shades and you will steal the spotlight wherever you go. The best shades are the ones that go next to each other on the color chart. 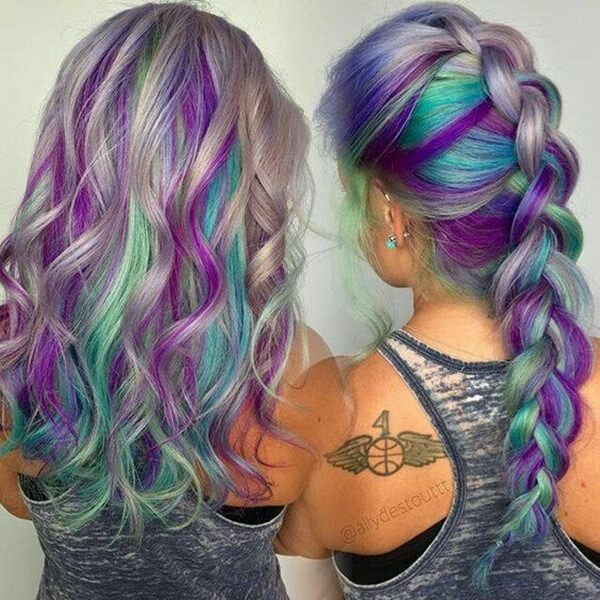 If you love these stunning shades, then you are sure to love the mermaid inspired hairstyles. 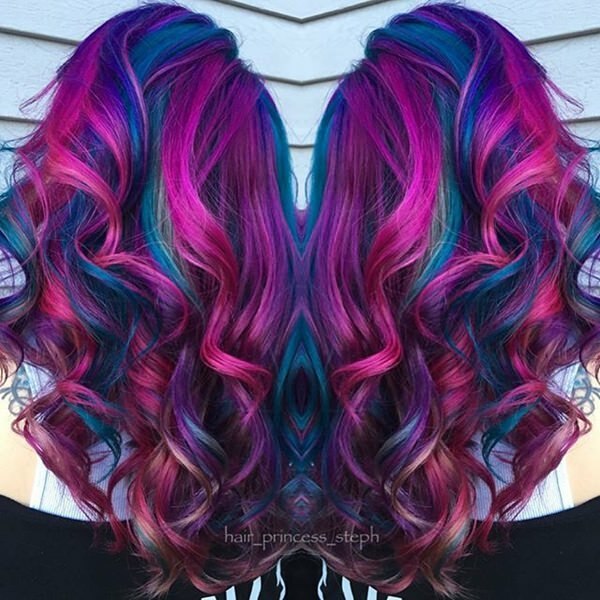 These colors need to be done in the salon. We would not recommend you take on a project like this at home. 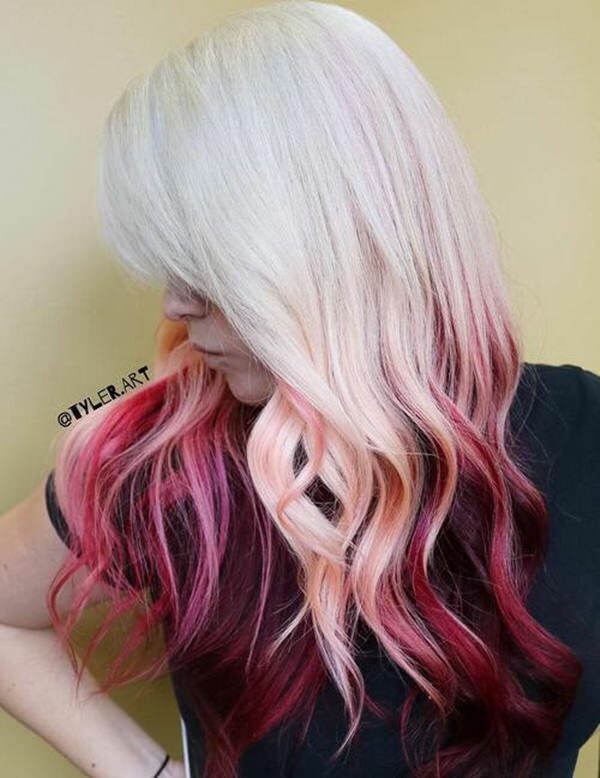 You need to book an appointment with an expert stylist so that you are assured that you are going to get the color that you want. 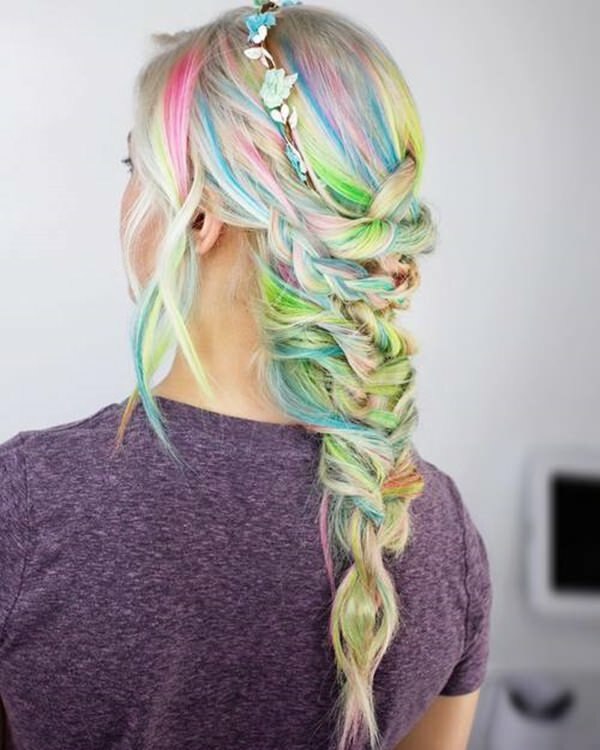 Vibrant or pastel colors are eye-catching, people just can’t get enough of all the pretty colors. 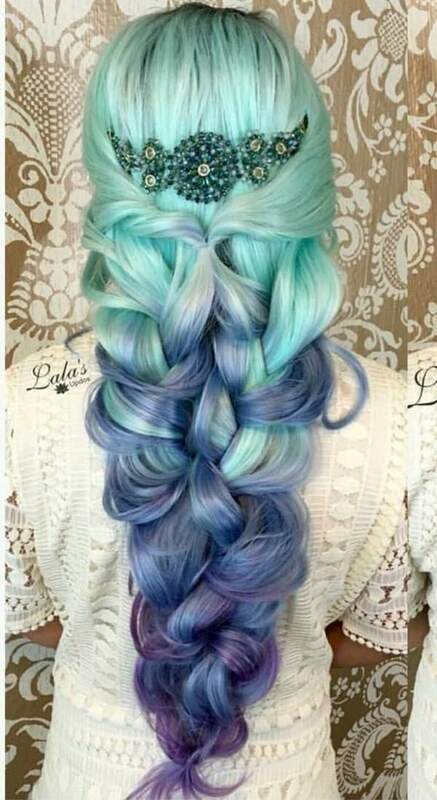 There are many diffe3rent ways to do the mermaid hairstyles, it all depends on personal style. 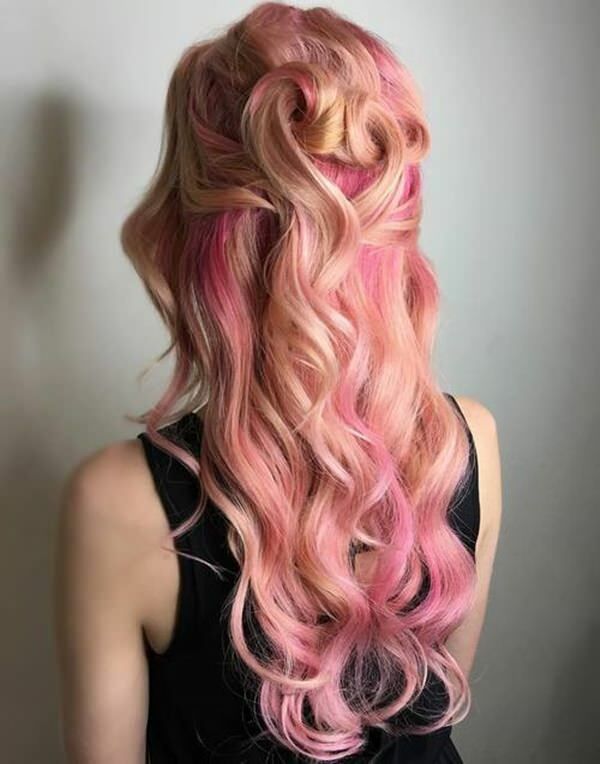 Be warned however that these styles can be high-maintenance because of fading. 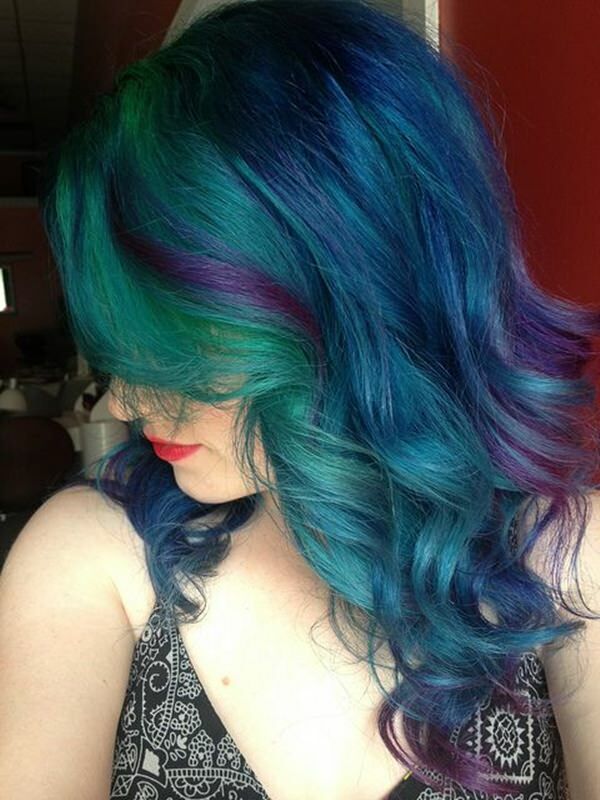 You may have to keep your color appointments up more often. 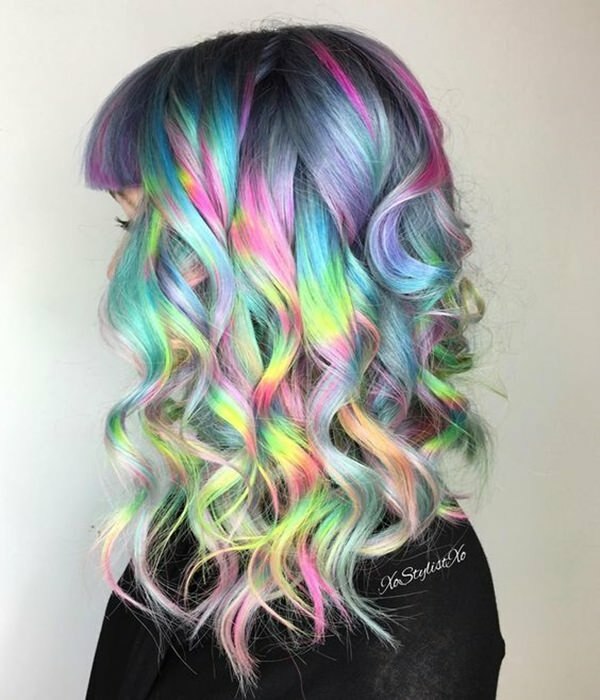 The last thing you want is for those beautiful colors to fade, so make sure you are committed to the look before you get started. We have many different options available to you and they are all pretty exciting. 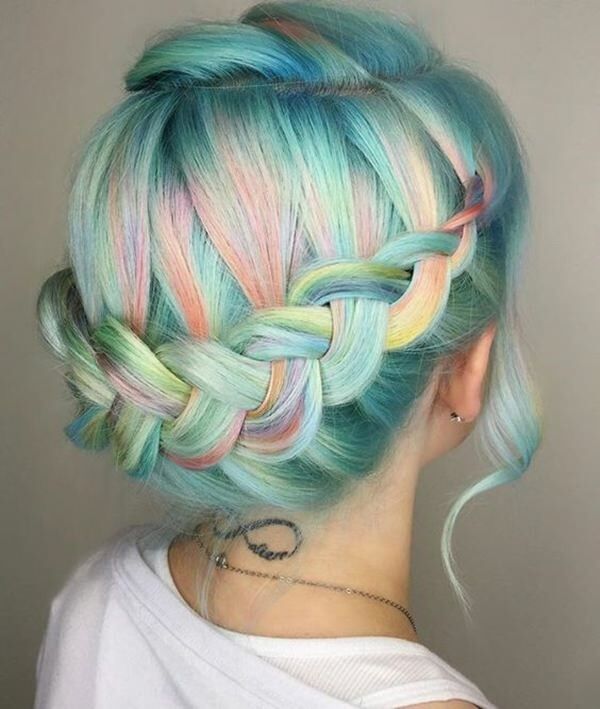 Who says you need to do your whole head of hair to enjoy the mermaid style? 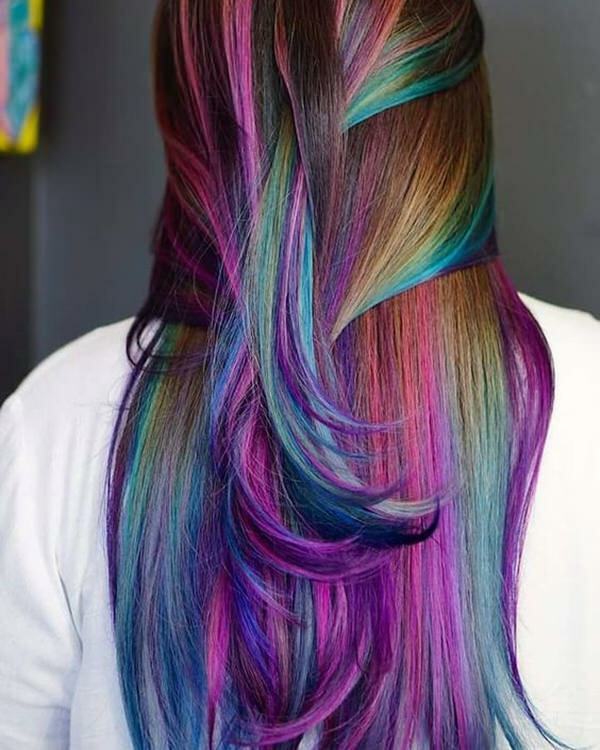 She has the color placed underneath so it can be hidden if she wants it to be. 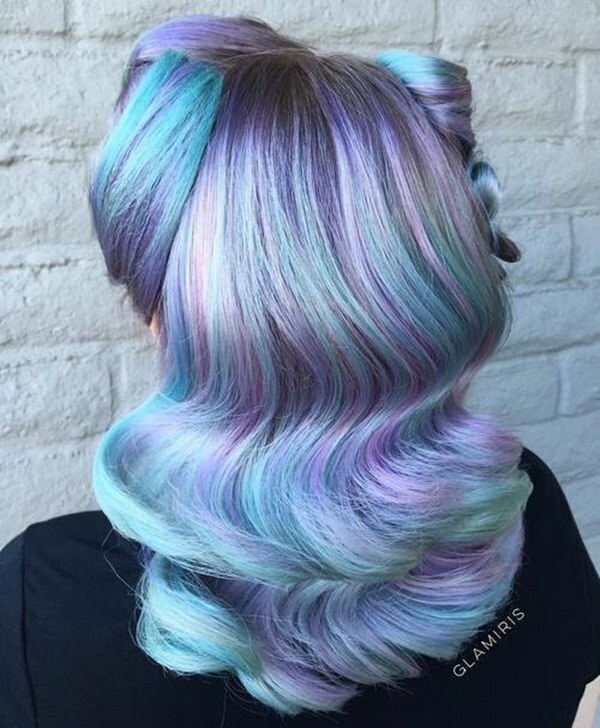 You don’t have to be platinum to enjoy these colors. 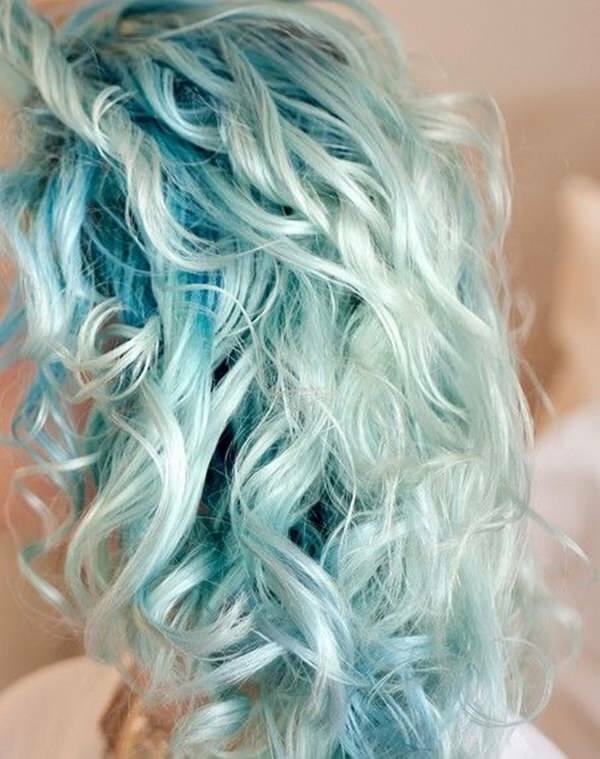 Be a true mermaid with this seafoam green color. It’s amazing and alluring all at once. 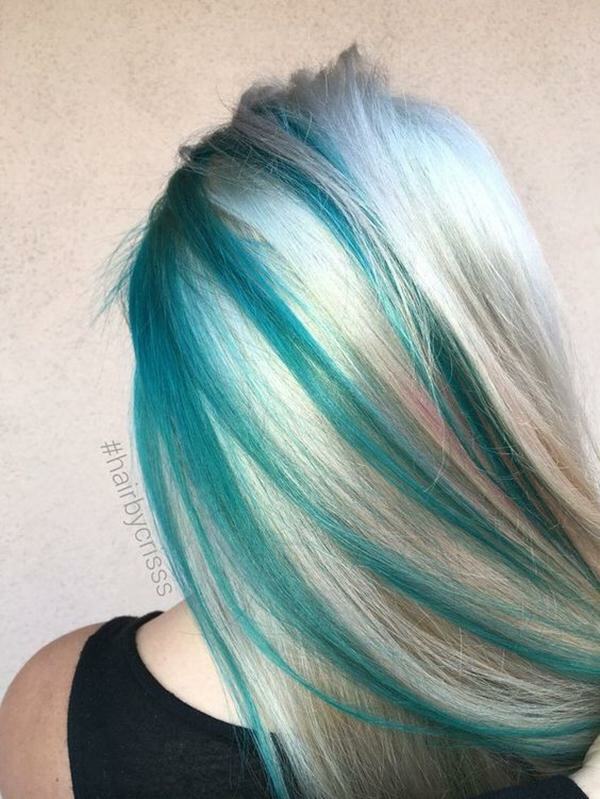 Your friends are going to need sunglasses to see beyond this color. 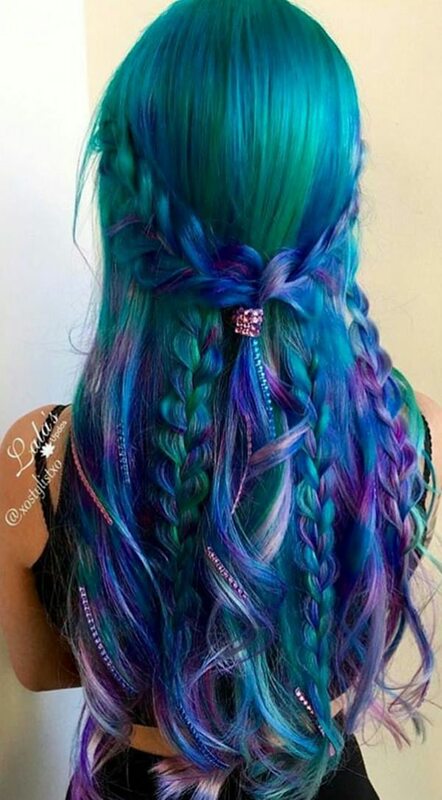 Her hair is long and it shows off those striking colors. 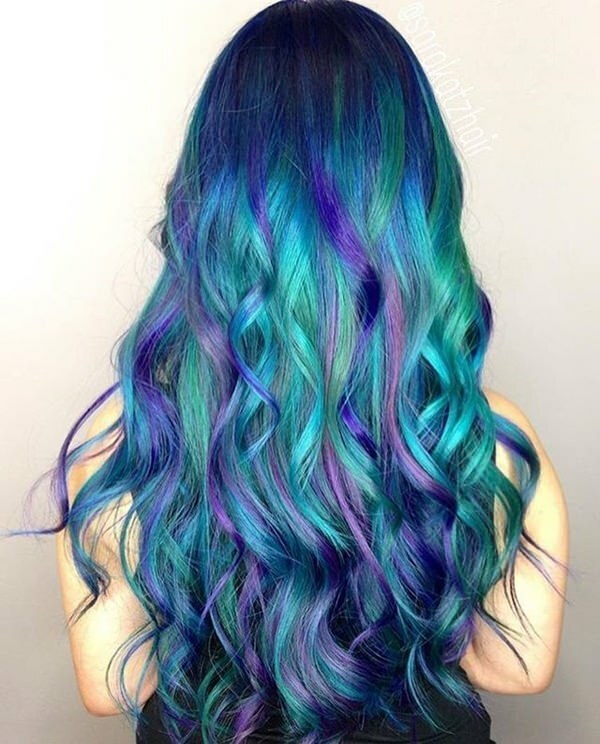 Greens and blues are mixed together here to create a stunning example of mermaid styles. 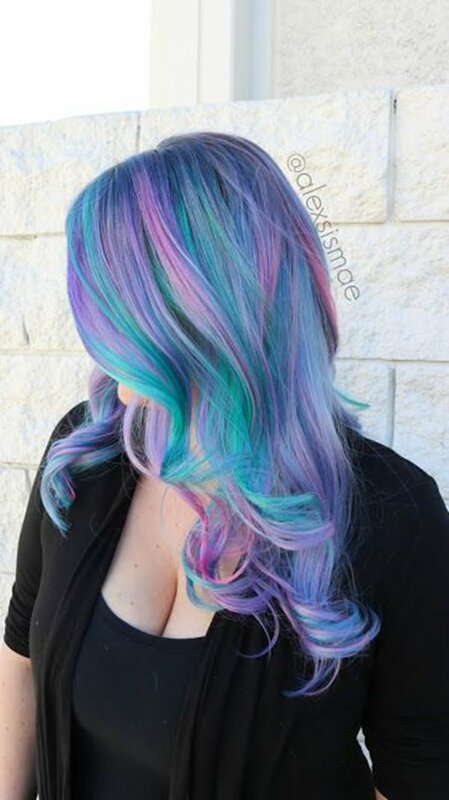 Maybe you like the mermaid colors but don’t want something bold and bright. 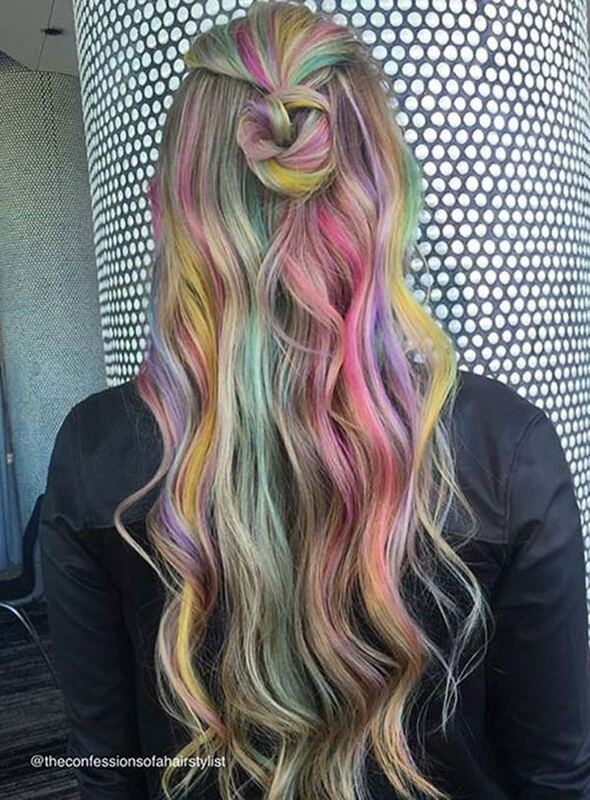 This is a great way to have color on a low-key level. What a breathtaking shade of purple. 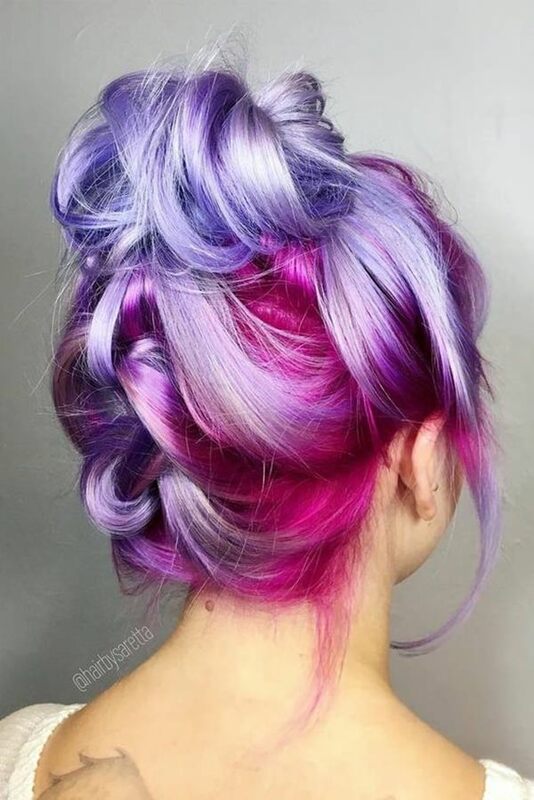 This color is soft while the others are vibrant. 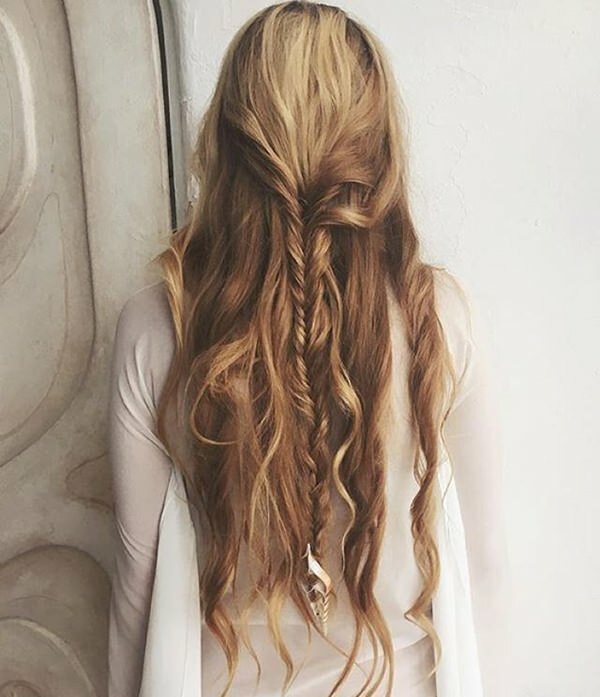 How can you not braid your hair when this is the result? 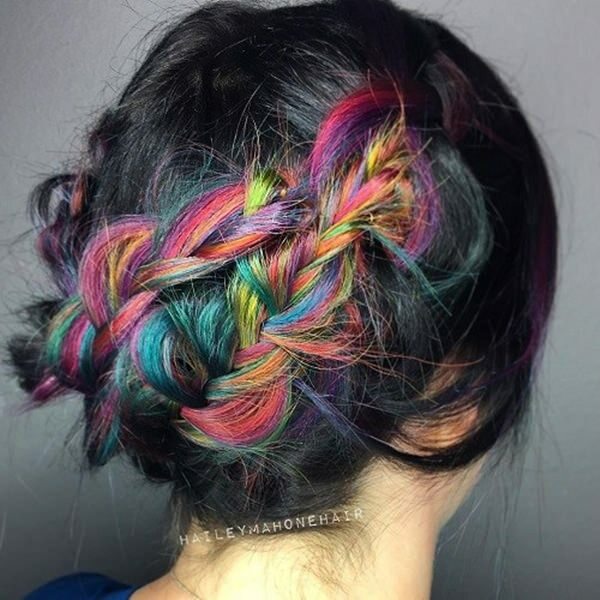 These colors are stunning and they go so well together when they are braided. 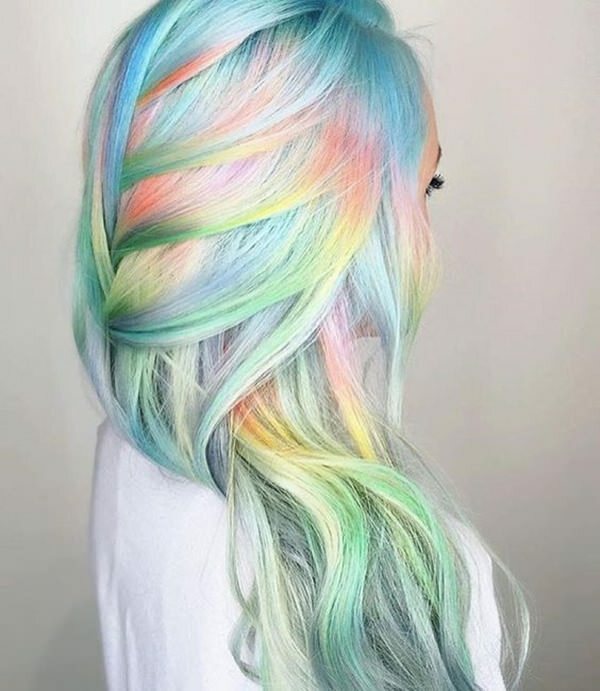 These colors are truly beautiful and they have that rainbow flair. 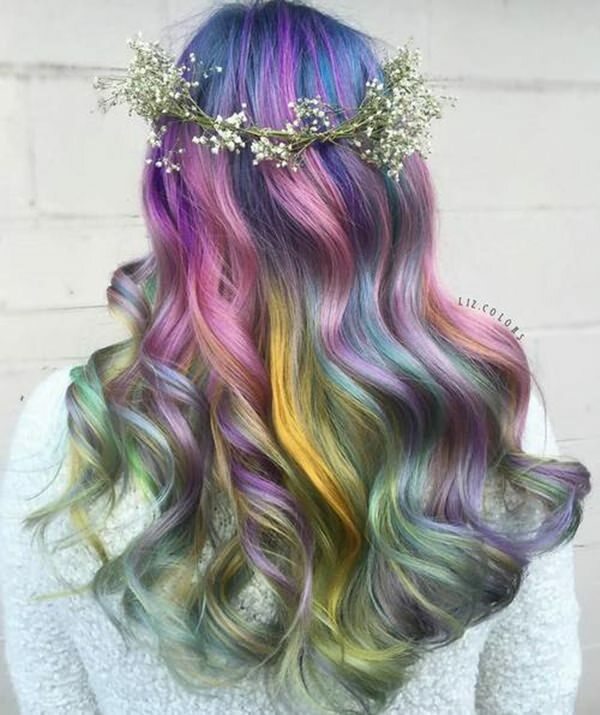 We just love all these bright and beautiful colors together. 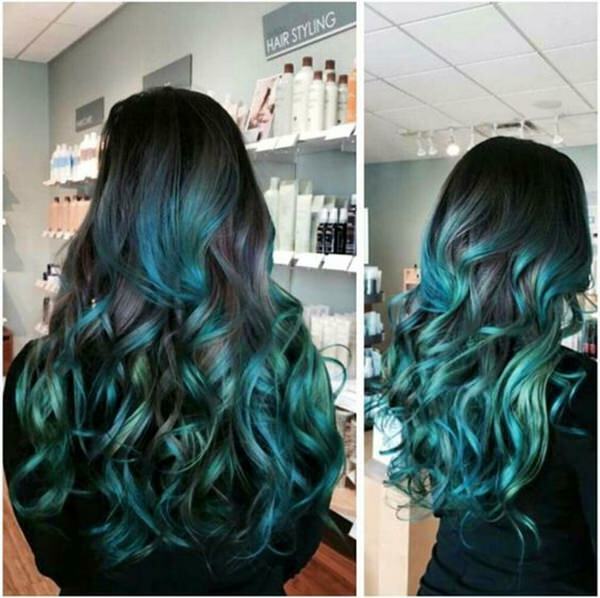 A few shades of green come together to create this dark mermaid style. 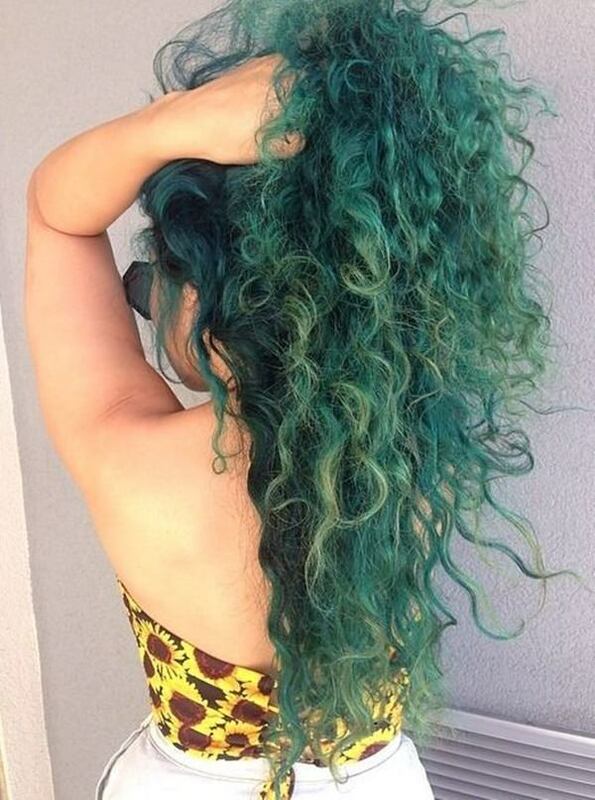 A few shades of green make this style really pop. We love these shades and you can see why. 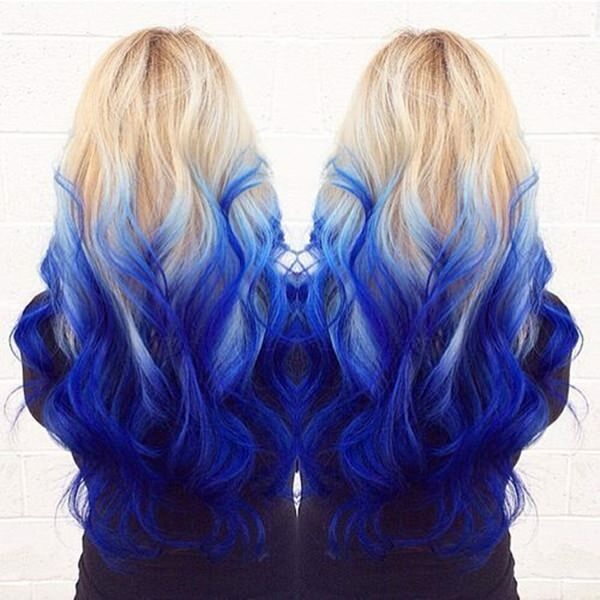 Dark blue and bright blue look magnificent together. 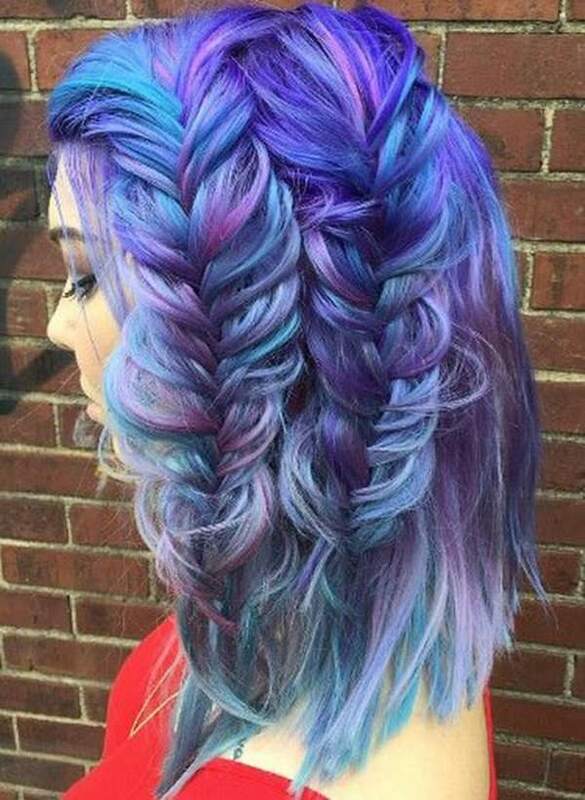 This mermaid hairstyle is more about the hairstyle than the color. 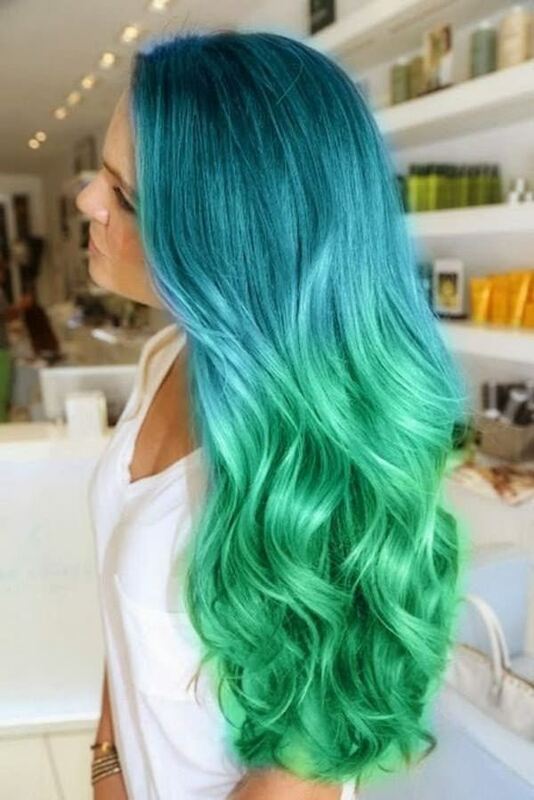 Just throw in a few green highlights to vamp up your style. 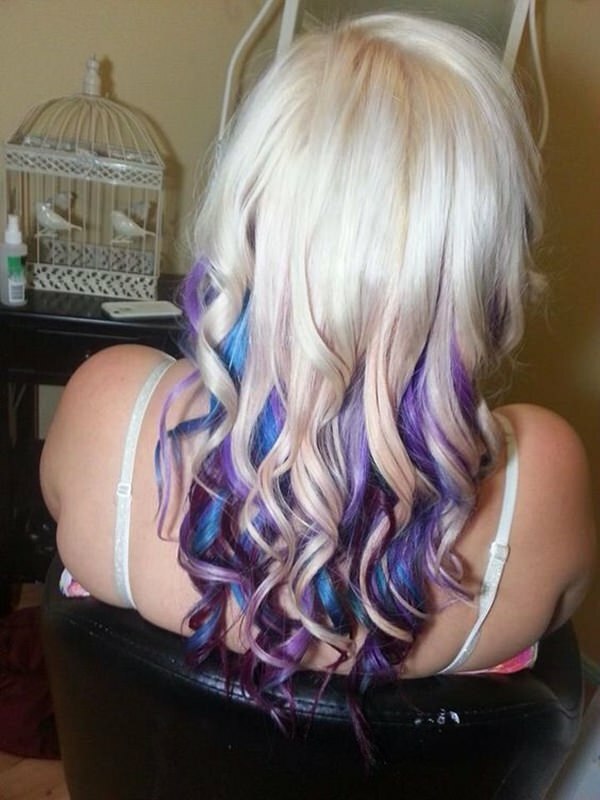 We just love the purples and blues together. These colors all go so well together. If you like darker colors then choose a deeper shade of your favorites. Pastel green is always a great choice. 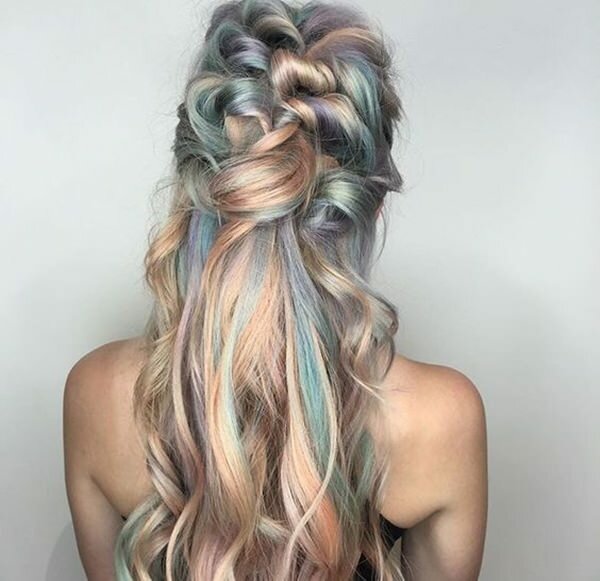 These soft pastels look so great together, we love how soft the colors are. This bright blue is deep and delightful. 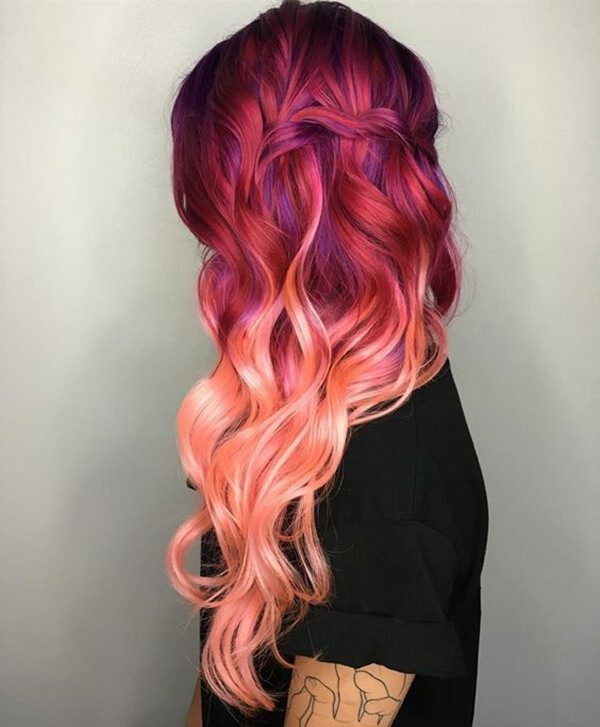 These colors look like they are on fire. 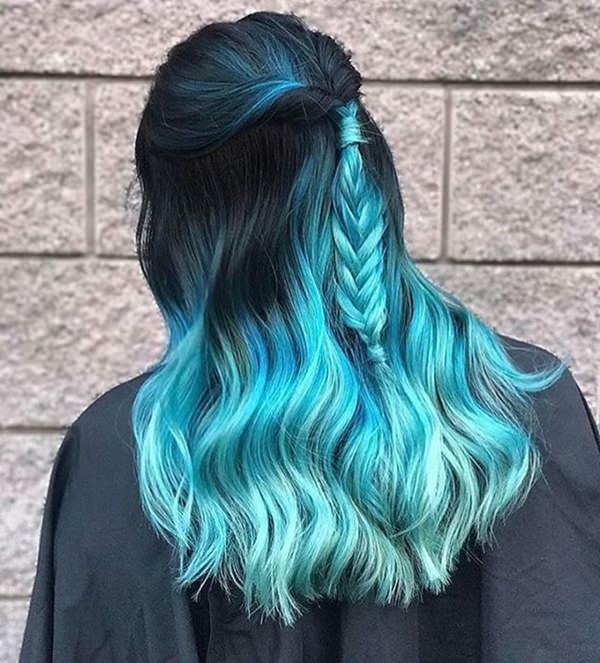 How incredible do these blues and greens go together? We love it. 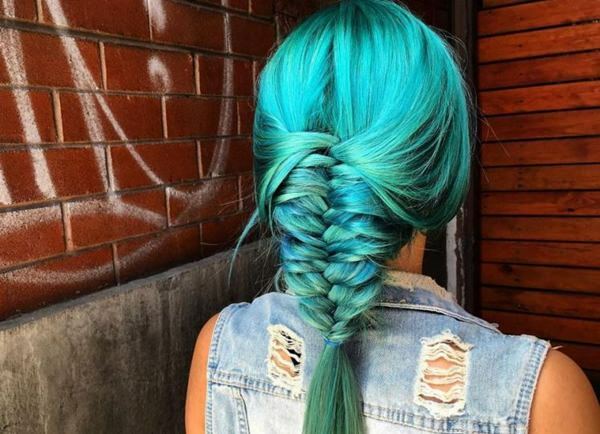 You are going to feel like a woman of the sea with this hairstyle. 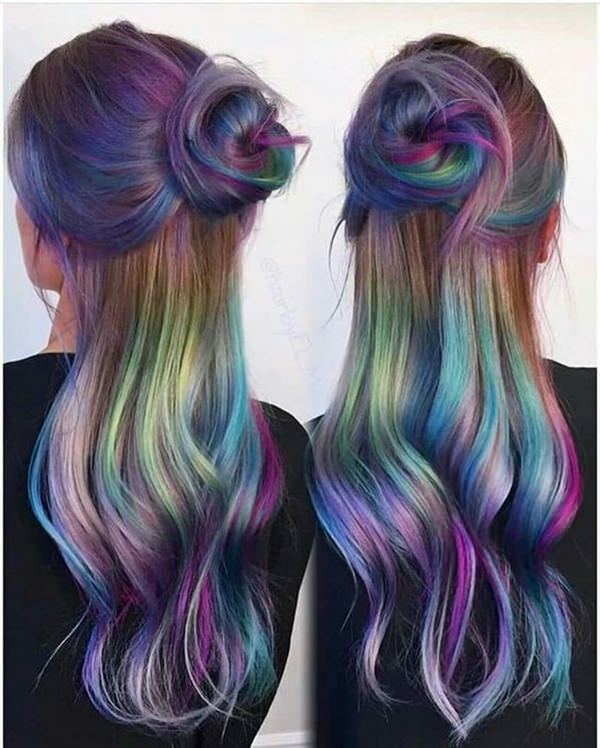 These colors together are just so breathtaking. 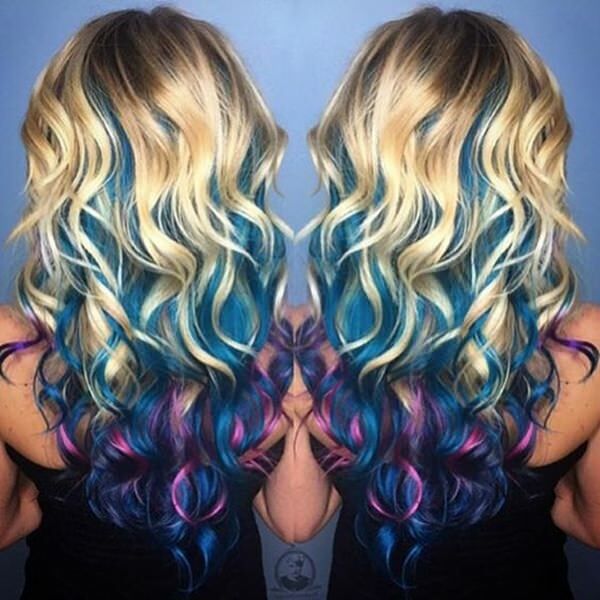 If you have a dark nature then you are sure to love this style. There are shades of color amongst the black that are divine. 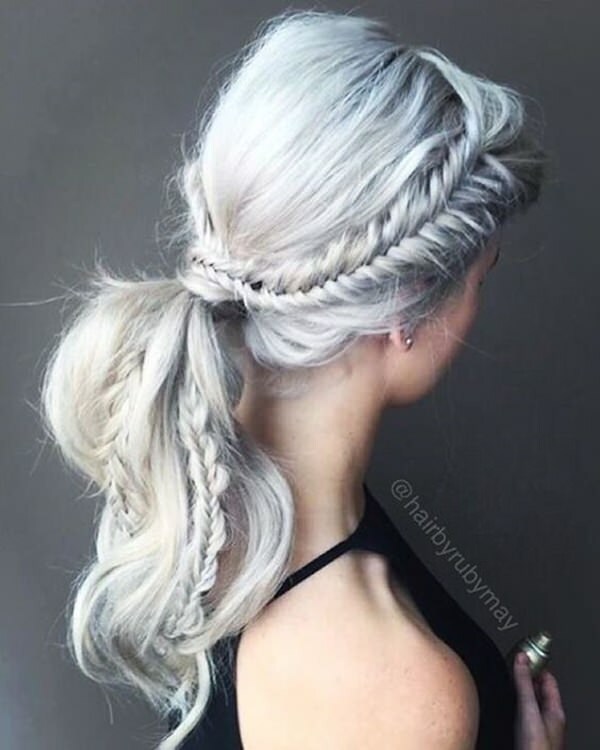 The contrast between the bright white blonde and the colors are breathtaking. We can get over the beauty of this color. 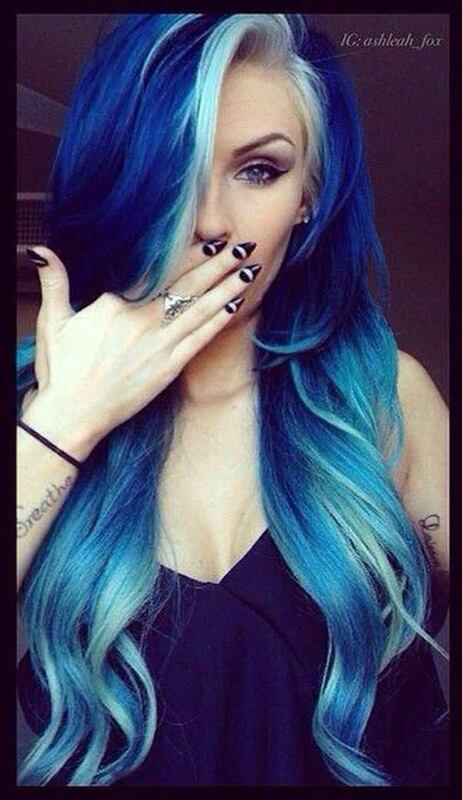 Another great example of how you just need a touch of blue to your hair color can make a big impact. This is stunning. It goes from black to a bright shade of green. We love it! 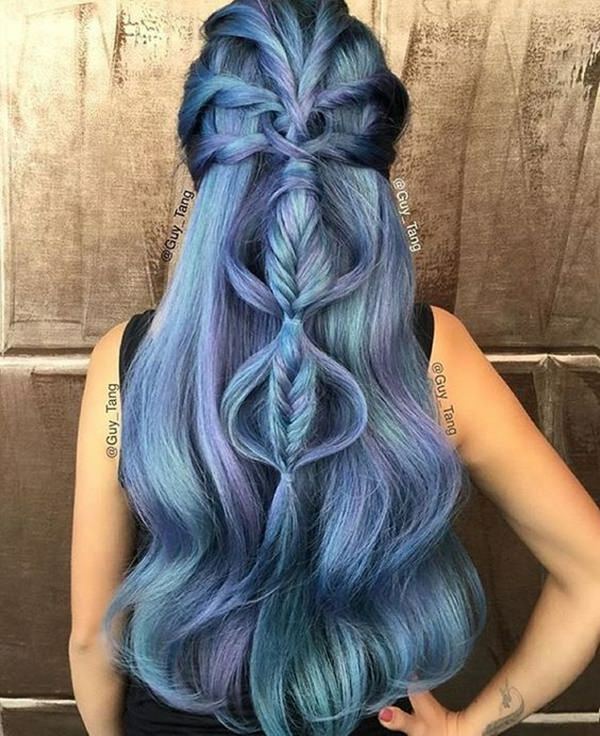 This mermaid style is truly inspiring. 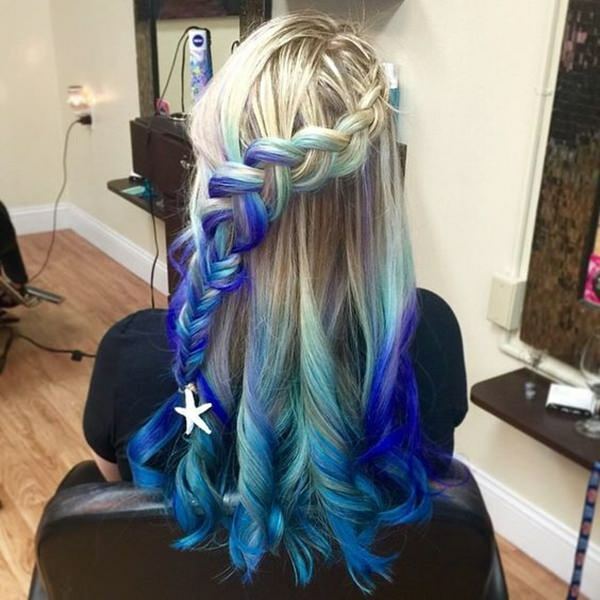 You have to love blue to go with this mermaid style. 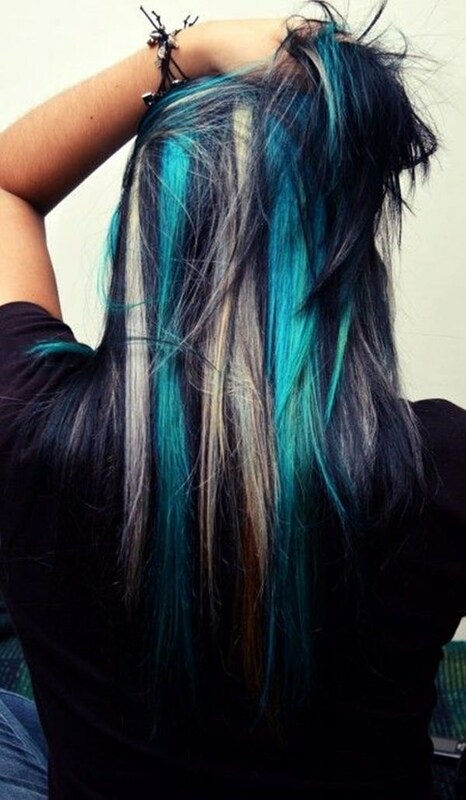 We love how it slowly changes to a deep blue shade. 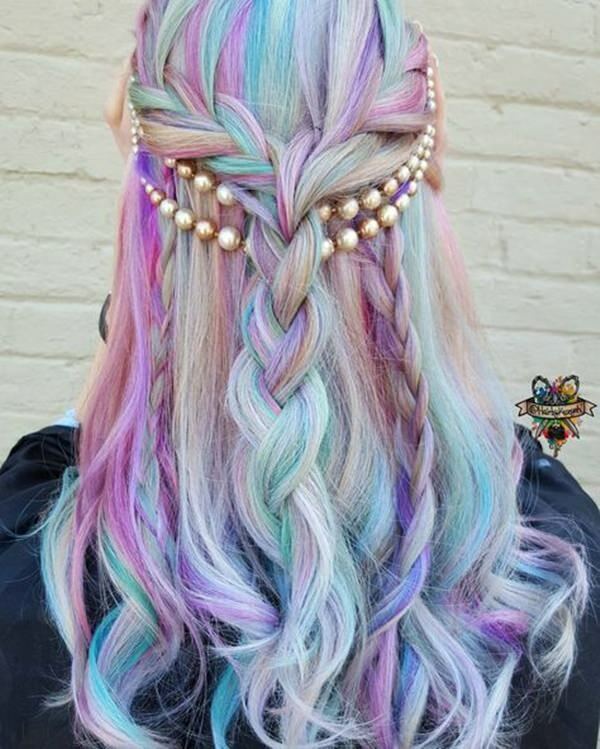 A braid is amazing when you have all these beautiful pastels together. 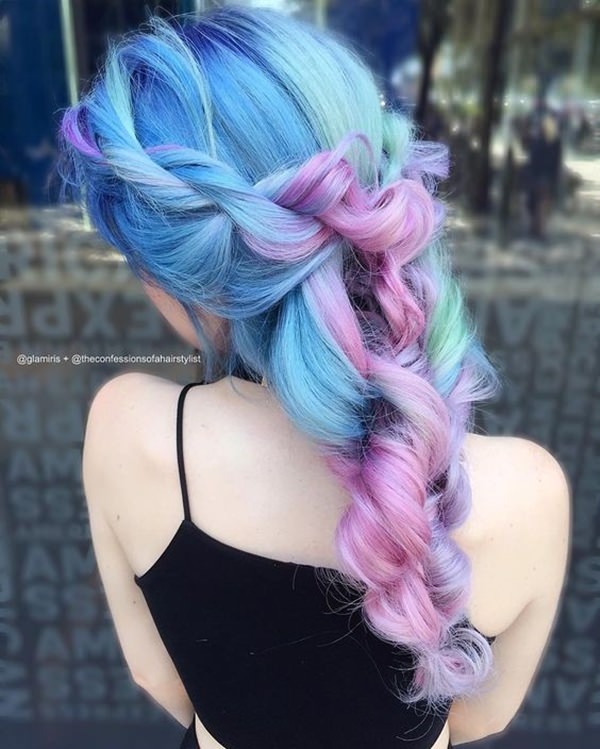 These soft colors go great together. These shades have a warmer tone to them, not a cool tone. It’s kind of the feeling you get when you watch the sunset. If you really want to draw the eye then these are the shades for you. 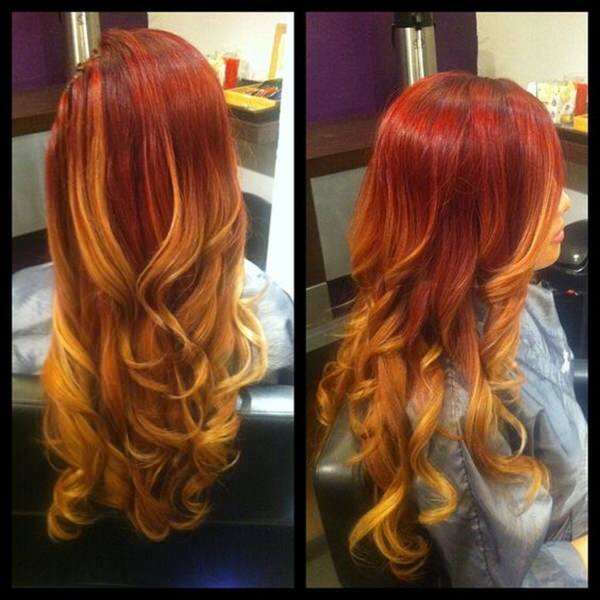 Another great example of how you can add color to your hair without changing it completely. 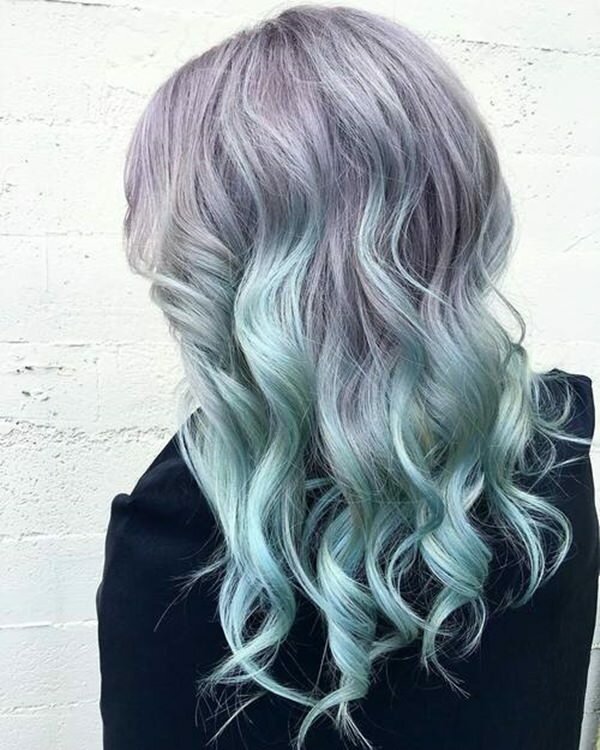 This gray shade has some pretty amazing neon green elements to it. 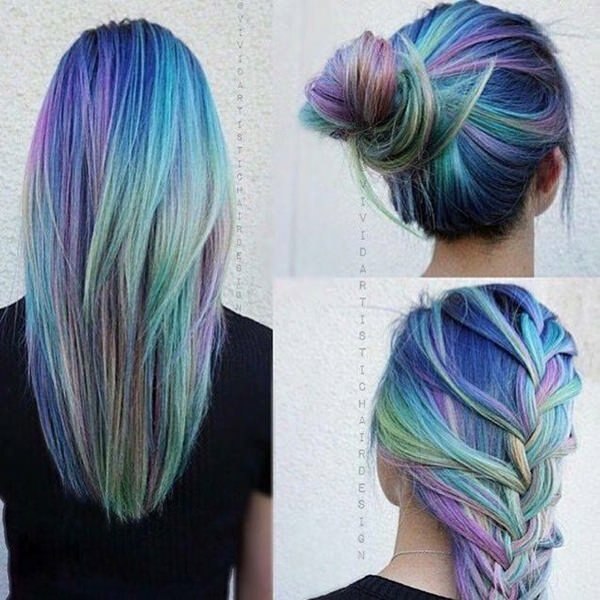 Gorgeous colors! 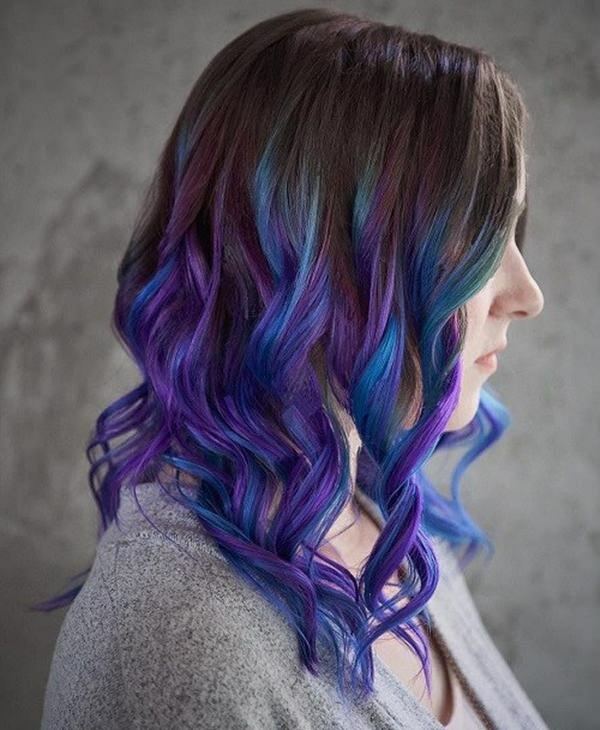 Add some amazing purples and blues to your natural hair to create this amazing shade. This bright white palette gets a punch of deep red coloring. These soft colors give you that romantic feel and will go well with any outfit that you choose. 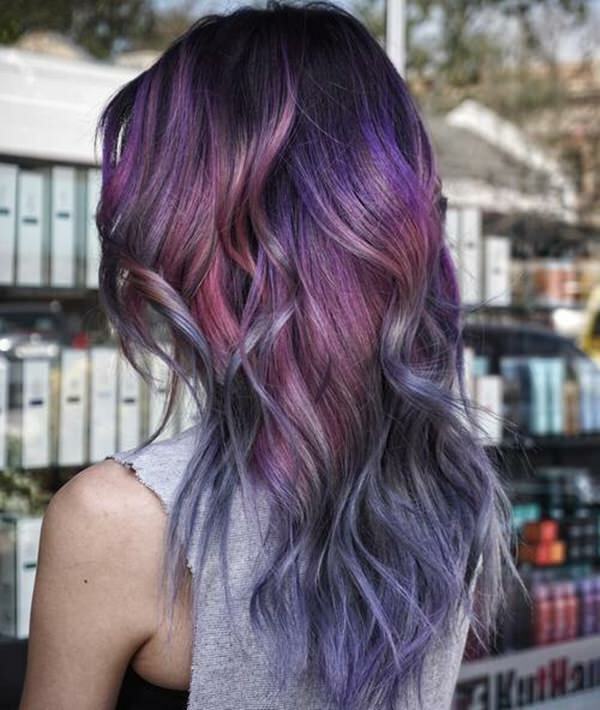 So many shades of purple are sure to make you feel just a little bit dreamy. 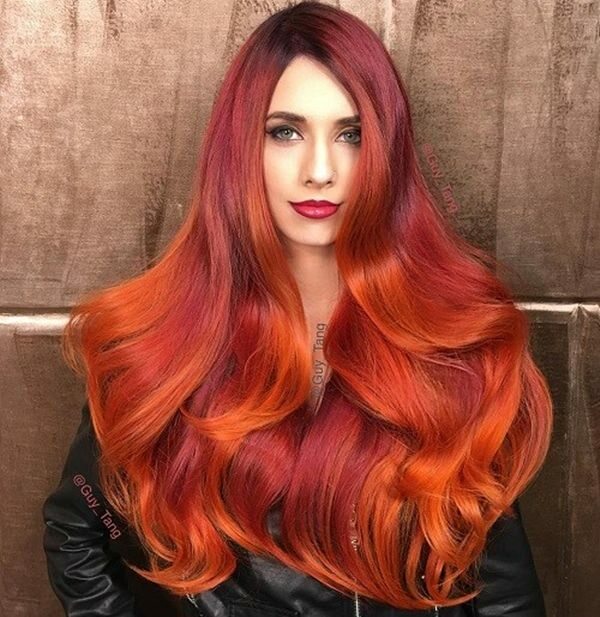 You are sure to feel like the Little Mermaid with this red hot color. 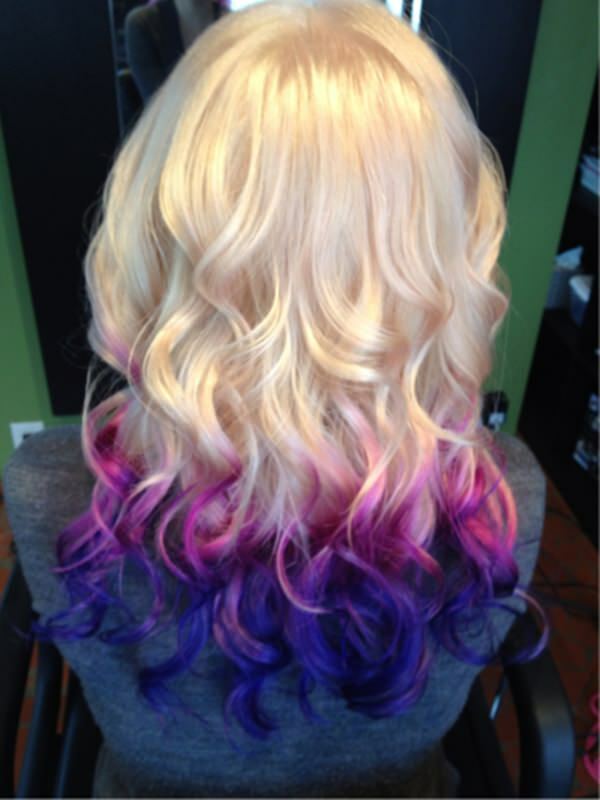 These bright pink and purple colors really make an impact. I love just how bright they are. What’s even better is when the bright colors turn into a very light and pale shade. From light to dark always makes an impact. 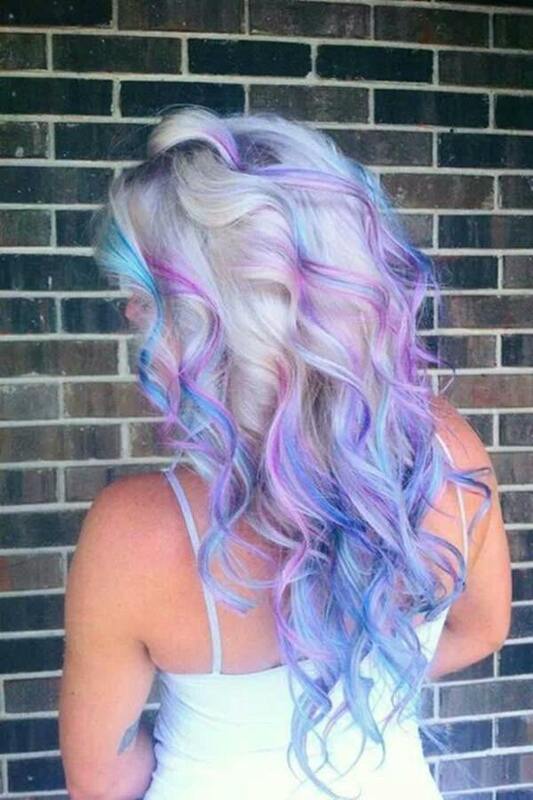 The purple just pops off the hair. It’s stunning. This deep red gives off a burnt coloring like rust. A very different shade indeed. 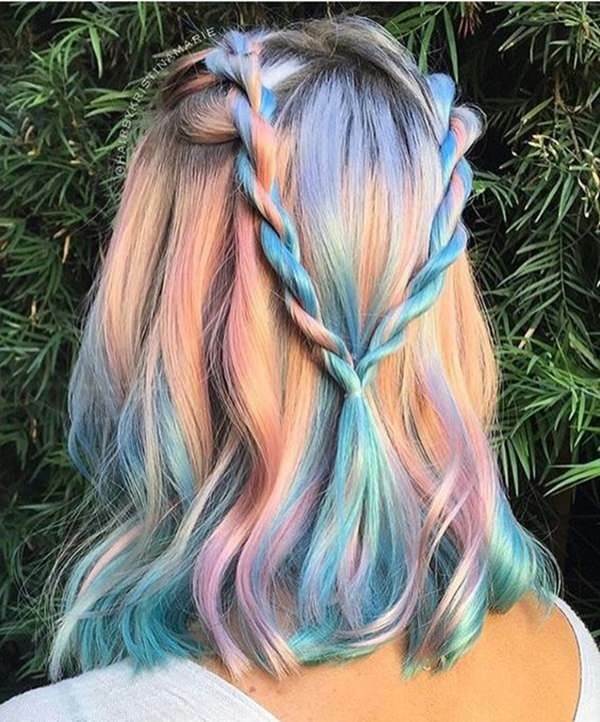 We just adore these beautiful colors and how they all come together. There are many different shades here, some light and some dark. 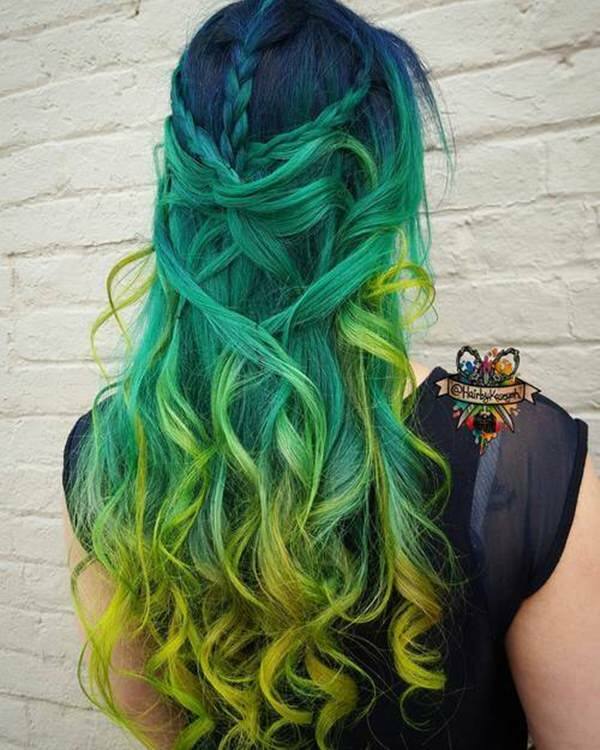 We love how the green goes down to almost a dark yellow at the ends. 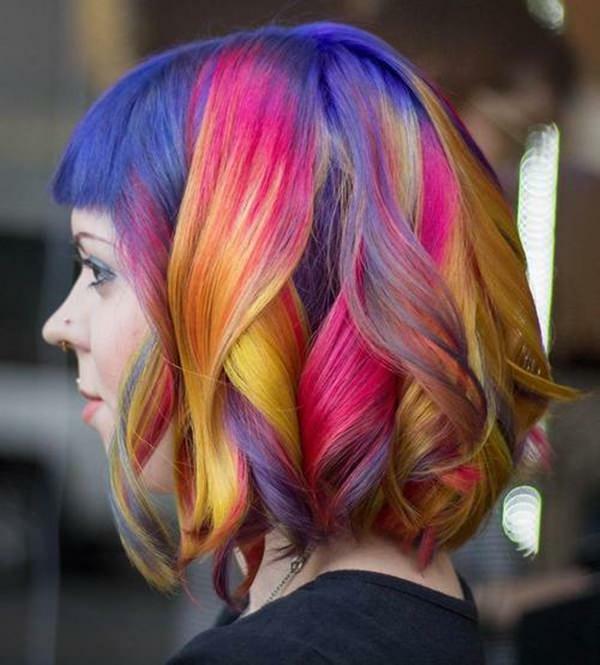 This dark black is brightened up by a splash of color. 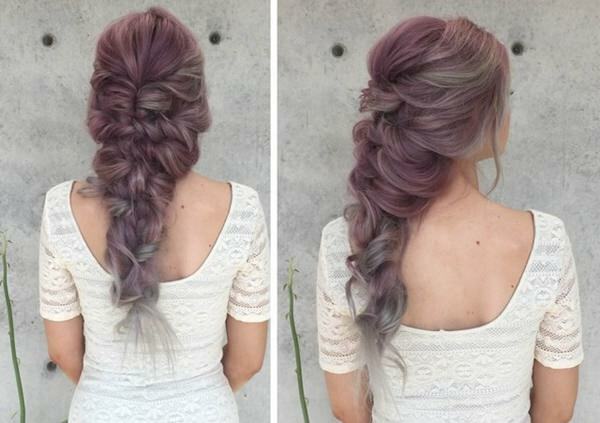 We can’t seem to get enough of these stunning shades. 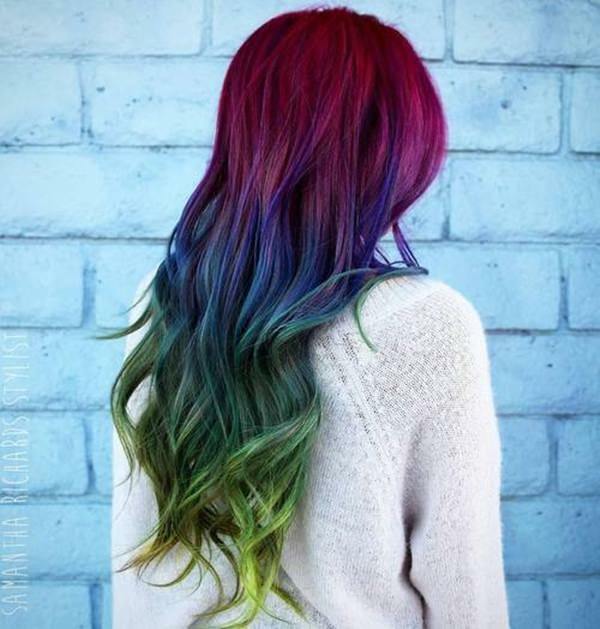 If you are looking for an awesome change then this is it. These soft shades are just to die for. The soft shades here are illuminating. This is the kind of color you won’t be able to stop looking at. 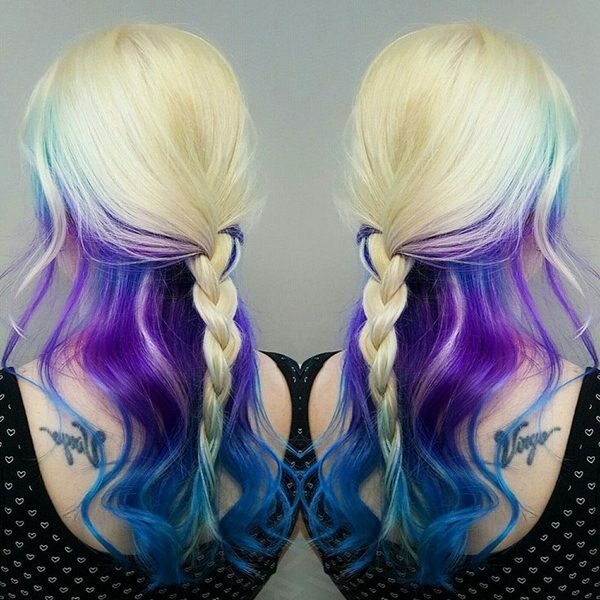 Blues and purples together in the softest shades make for a work of art. 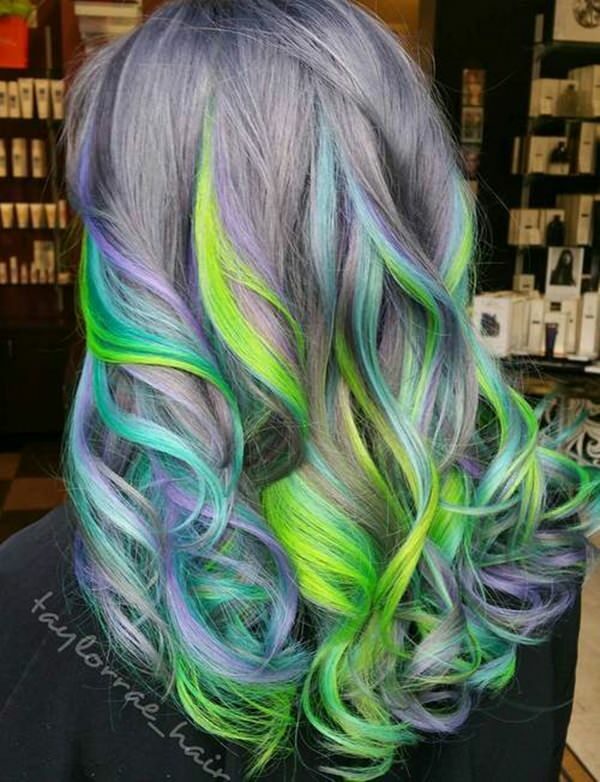 If you want to turn some heads this season then choose this bright neon mermaid style. 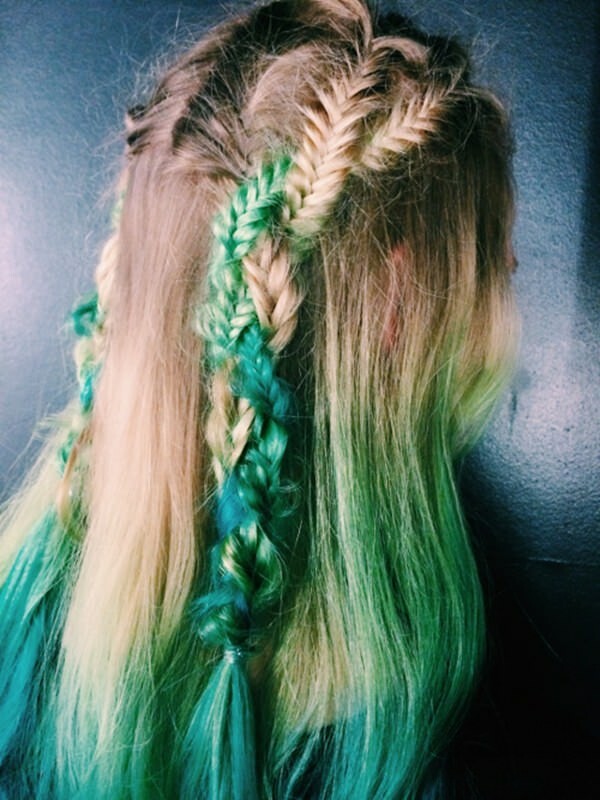 A few strands of green are all you need to create this gorgeous mermaid style. Talk about an eye-catching color. 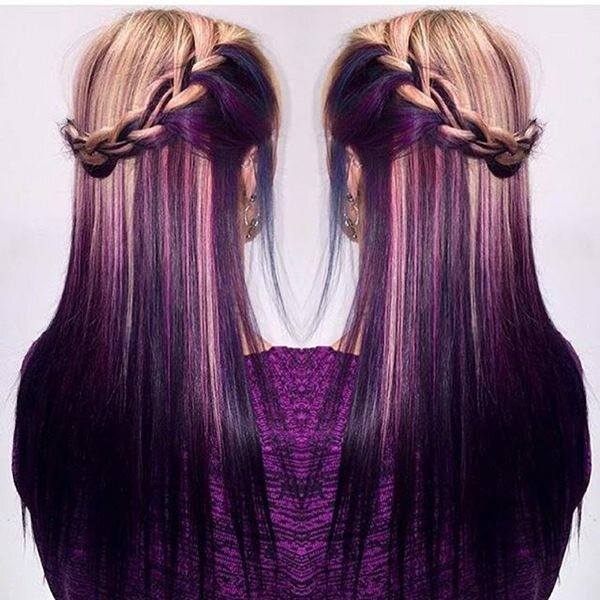 This deep purple is pouring down the hair to create an exquisite design. 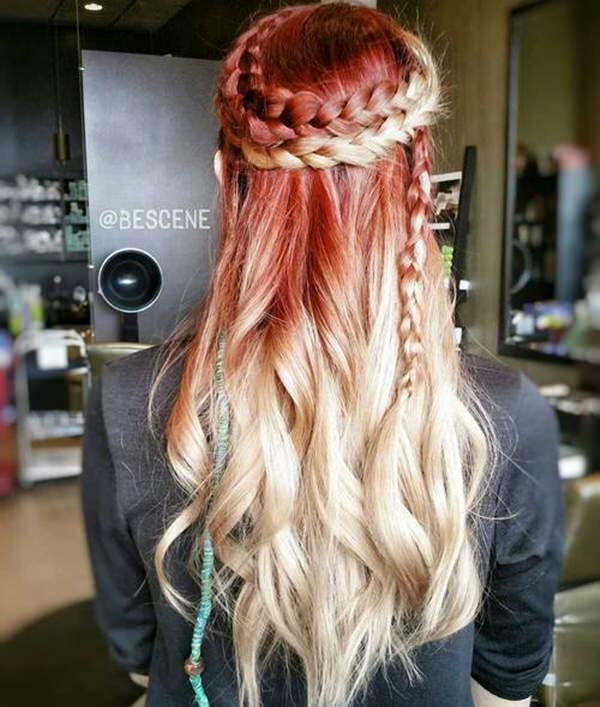 Braids are always a great choice when it comes to color. These colors just pop out at you. 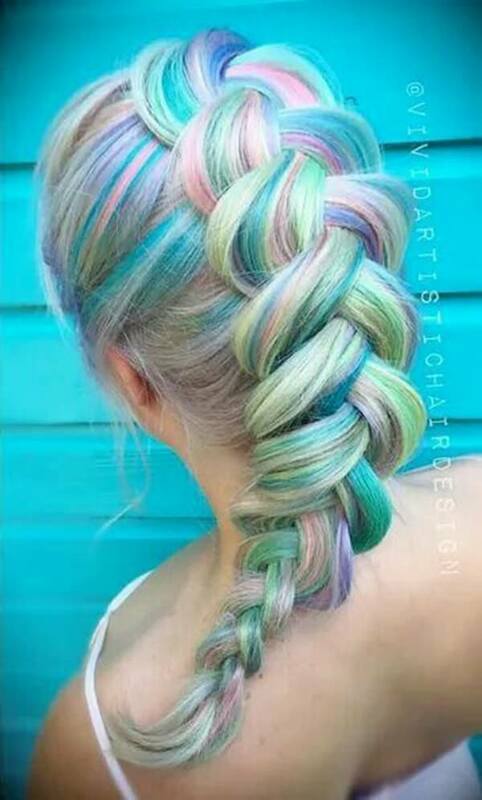 You can still have some of your natural look and add some color to it. These shades are truly brilliant. You won’t find brighter shades than these ones. These colors are truly epic. 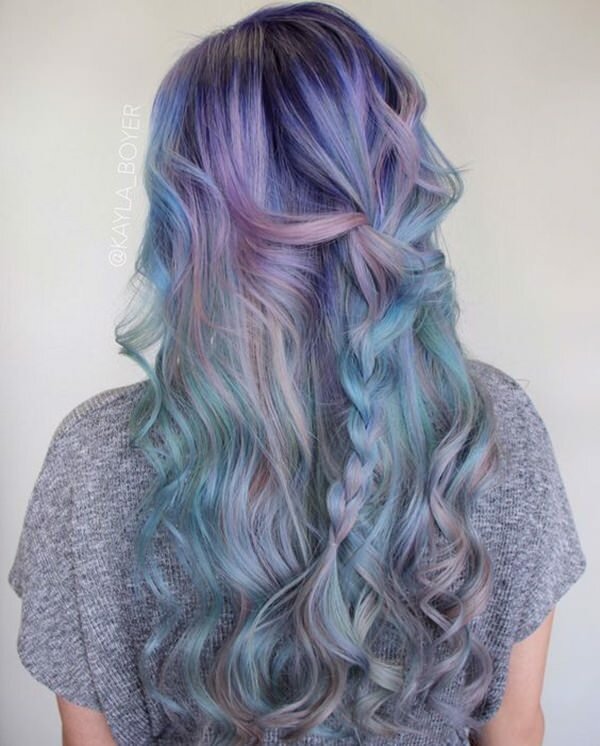 These soft shades truly give off a romantic feel for this mermaid style. If you want softer shades then this is a great option for you. 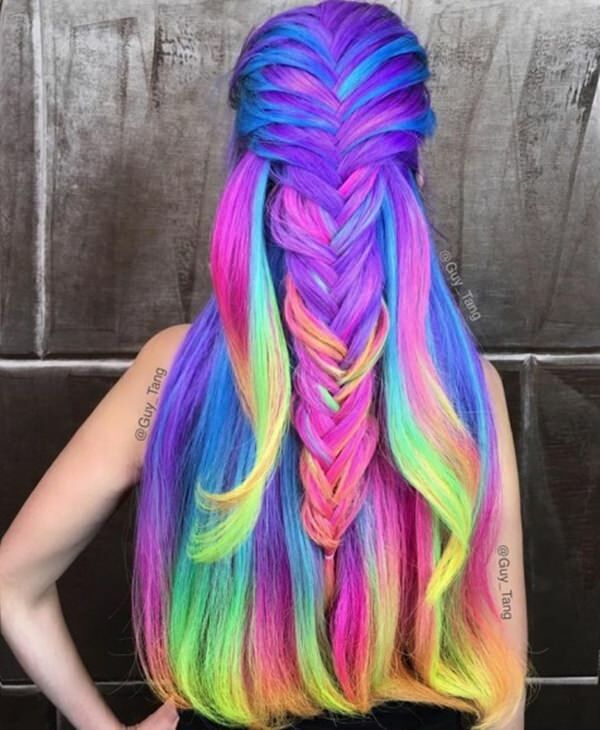 You have all the colors in the rainbow with this style. These stunning shades are sure to draw the eye. 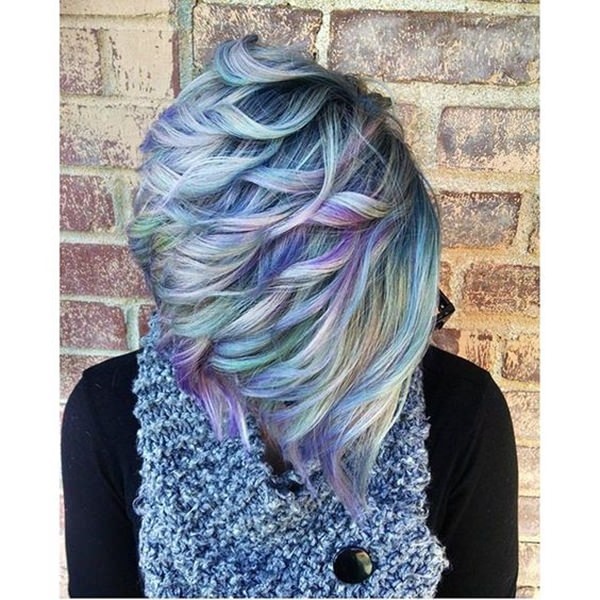 If you are looking for a magical color palette then this is the one for you. These colors certainly represent the candy shades of the world. 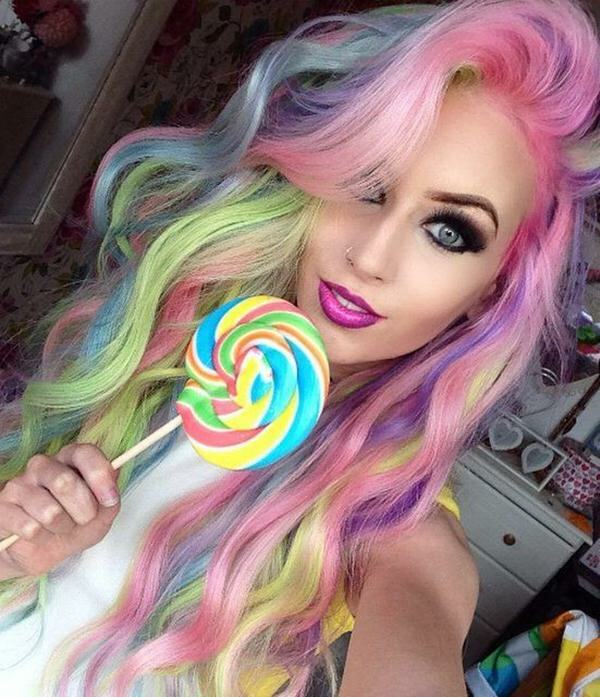 They are absolutely stunning and it looks like a rainbow just splashed all over her hair. Long hair really shows off these shades.